The bride grasps the hands of her bridesmaids in laughter moments before the commencement of the ceremony. What a sweet moment between the bride and her bridesmaids in the room they got reading in. We thought this really captured what the brides maids really mean to the bride and how important they are on her wedding day. 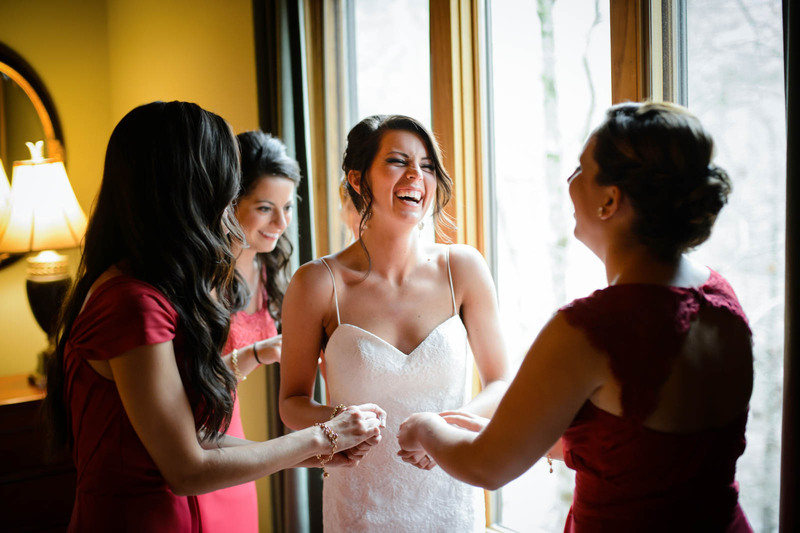 This photo captures the bride laughing and giddy before the commencement of the ceremony along with the brides maids helping her with her beautiful thin strap lacy dress and making sure everything is just perfect. They laugh and giggle as their good friend is about to make a new journey in her life with the man that she loves.